The Bow Habitat Station Kids Can Catch Trout Pond, stocked with trout raised in the Sam Livingston Fish Hatchery, offers catch-and-release fishing for youth. 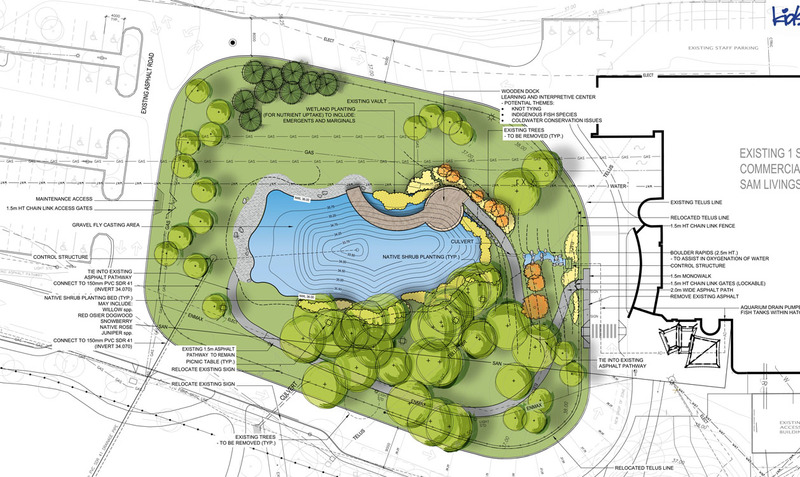 The trout pond was created by redeveloping open space at the Bow Habitat Station into an outdoor learning pond at the entrance of the Sam Livingston Fish Hatchery. The new pond now provides a great opportunity for children to discover the appeal of fishing and develop their angling skills.